Call it a miracle or the combined efforts of thousands — or both — but all 12 members of the Thai boys’ soccer team and their coach have now been rescued after being trapped in a cave for weeks. The news broke Tuesday morning when the final four children and their 25-year-old coach were saved by Thai Navy SEALs. 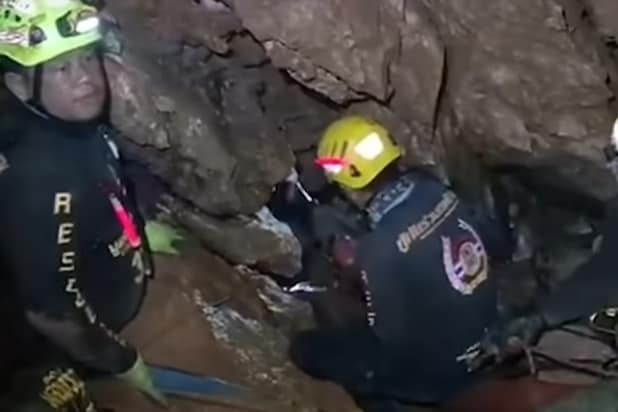 The rescue operation involved guiding the boys through a partially flooded cave system that has already taken the life of one diver who attempted to reach the trapped soccer team. Some sections of the cave required climbing equipment, and one section that was flooded by stormwater was so narrow that the divers needed to remove their oxygen tanks in order to get through. The trapped soccer team, which consisted of boys aged 11-16, was found last Monday by a team of divers after a nine-day search. It was originally believed that the team would have to stay in the caves until the end of monsoon season, which would last for several more months. But after the rains flooding the cave worsened, a team of 90 rescue divers — 40 Thai, 50 foreign — were sent in to extract them as soon as possible.